I've been on the search for a good stencil company for a few months. I wanted templates to use with my paints, mists and for doodling. Until recently, I've been somewhat dissatisfied with what I've seen. The stencils were either very expensive or well...kinda cheesy-looking. When I read Ashley's CHA-W report on The Crafter's Workshop Doodle Templates I almost fell off my chair with excitement. I immediately reserved The Crafter's Workshop review for me and awaited with baited breath for my new products to arrive. You can also use a template as a doodle guide. I did this on my cherry blossoms card. 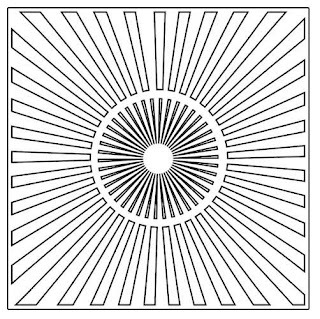 Simply place your template on your paper and use a pen, marker or pencil to follow the lines. Easy! Follow up by coloring with your medium of choice. Just so you know, Crafter's Workshop templates clean easily with a baby wipe or with water. They can be reused forever. 1. 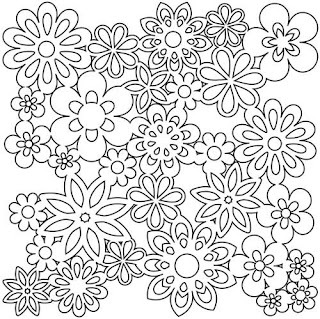 Crafter's Workshop templates come in 12x12 size and 6x6 size. 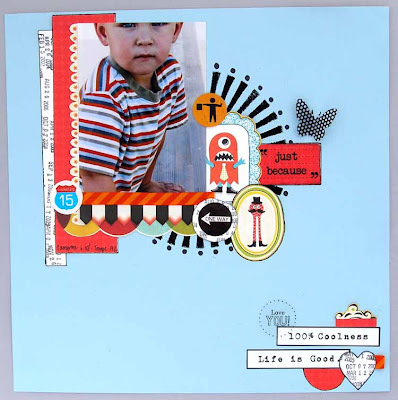 Perfect for the scrapper and the cardmaker. I love this! 3. Really great intricate designs. Funky stuff as well as soft and pretty stuff. These templates will appeal to every style. 1. These might be difficult to store because they are so intricate. I suggest devoting a 12x12 album to them and placing each template in a 12x12 page protector. 2. A word of warning: if your paint is too wet, it will seep under the stencil. This isn't a problem with the manufacturer, it is more of a poor technique problem. Dip your stiff brush into your paint, dab it on a scrap paper, then apply it over the stencil in quick tapping motions. Also, make sure that you don't move your stencil while applying paint because this will lead to blurry images and frustration. 3. If you are using a template with a mist, spritz, then lift the template straight off so you don't accidentally drip extra mist onto your project. Again, this is a technique issue not a manufacturing issue. I started out with black acrylic paint and the 6x6 size Sunburst template and made 100% Coolness. A close-up of my stenciling and doodling. 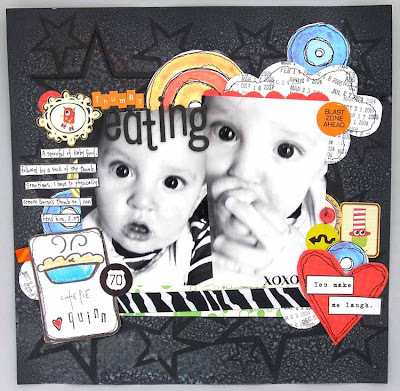 My next layout, Thumby Eating was done with the 12x12 Star Shower template and Licorice Shimmerz Spritz. The effect is subtle, perfect for a background. 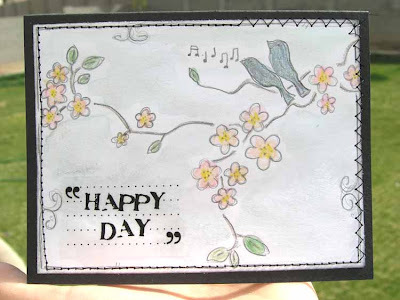 Next, I made a card by tracing parts of the 12x12 Cherry Blossoms template. I wanted a soft look so I started with a basic #2 pencil. I followed up with the addition of Shimmerz paints and a bit of black pen work. 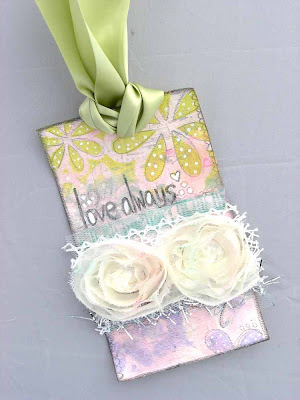 Finally, I just fiddled around with a scrap piece of white cardstock, some Shimmerz paints and the 12x12 Gathered Flowers template and made this tag. I'm absolutely thrilled with The Crafter's Workshop Doodle Templates. I would highly suggest them to any crafter. Two thumbs up! I can't wait to purchase more of these products! What do you think? Let us know! Be sure to post a comment by noon EST on Tuesday for a chance to win a goodie basket from The Crafter's Workshop! I have about 6 of the templates and love them all. 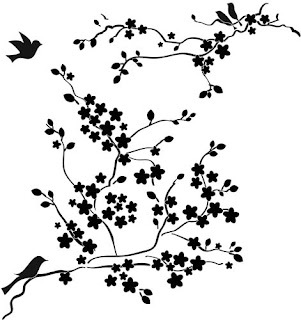 Amazing templates, love the tree with the birds ! I've used their templates before especially for doodling and have found them to be quite handy! The templates you used look awesome on the projects that you did. These may be well worth trying. I'm giving it some serious consideration. Thanks for sharing. I have several of there older templates and love them. I definitely need to pick up a few of the new releases! I have never heard of these. They look fabulous and I would love to try one. I would love to see a video of them in use with various techniques before I buy one, however. Whoa that is so cool. I've always wondered how people use the sprays, acrylics, etc on projects. I'm not that imaginative when it comes to my scrapping style most times, but these are awesome. I will definitely keep an eye out for these, so that I can purchase them and buy some of those sprays. Would this work if you used the template, and then put some adhesive through the cutouts and some glitter? Curious, let me know if anyone has done this. I can see a kind of 'high-fashion' glitter card in the making with that cute cherry blossom stencil! I almost couldn't find the comment link--I guess I am not a genius :-) lol!! Anyway, I have a crafter's workshop template. I think they are awesome! Their designs are really cool. Would love to win one and thanks so much for the chance!!! I have a few of their templates and they are fantastic. Good quality, updated designs. Great company!! That new sunburst design is one of my faves. Good tip on how to store them ... hadn't thought of that! I don't have templates, because I find them most of the time too curly. I don't know if that's a word, but I was looking for bold templates, without all the swirls. These look perfect to me! I have seen thier templates before, but haven't tried them. These have definitelt peaked my interest!! I have a few of these too..they are totally fab. I saw the Sneak of all the new ones from CHA-W and can't wait to get my hands on some more!! Great review...love your projects. Veddy intriguing... I'm not too artistic w/ only a writing utensil in my hands, but I can imagine these templates would help me with that! The stencils are very intricate and yet not overwhelming with detail, clearly lending their use to a variety of craft projects and styles. Not inherently creative by nature, I rely on superb scrappers for ideas I can scraplift, and I love that you can tape off portions of a stencil to use only certain segments rather than an entire page. Thanks for the great new product idea! ohh I love the star background, but I can see how they would be hard to store. I am another big fan of the Crafter's Workshop templates. Versatile is their middle name -lol! Love 'em! I got a free 6x6 template by them from Archiver's and I really like it! I like the idea of the 12x12 templates and will definitely be looking into these for using with my Glimmer Mists! I LOVE CW's templates and for storage I too have an album (I used a Paper Sticker Binder from Crop in Style to store the templates in I like the fact there's a bit more room so the edges don't get bumped and damaged) I love their designs and love that they work with many mediums, They are "detailed" without being overwhelming. They have a great price point to! Definitely a must have in my tool box! Wow! Those look really cool! I love all different ways you showed of using them that I wouldn't have thought of! They look like fun to play with! this review came in perfect time, my mom just bought some and was asking me about them, but without her living in the same town as me, its really hard to explain things to do with them. i am off to let her know of your website. How cute are those?!! I love working with templates and have been doing so off and on for years!! Would love some fresh, new looks to experiment with!! Your projects are just adorable!! I have several of these templates. They are a good price and very versatile and I love them! I soooo need these. I have been attempting to cut out my templates but they never seem to work out. And using the paint with them? Genius! Love it!!!! These look really neat! I could do so much with them! Thanks for the great review! wow, I love it, thanks for the opportunity! You definitely have me interested in templates after your review! I have never used them before but really like the designs of The Crafter's Workshop templates. I am so totally in love with these. Being a scrapper with a budding interest in card making, I can see lots of possibilities for these. Thanks once again for a great timely review! Wow! Your projects are amazing! I would definitely love to try using these templates! Painting, misting, chalking, doodling... the possibilities could be endless! Thanks for the chance to win! I have several but never use them. Not sure why. I have the dots (circles) which I do use. I need to pull them out and use them TODAY! I LOVE these!!! Pick me! Great samples! wow, I must have these. thanks for the chance to win. I have a few of these and love them! I love the idea of these. I have used both Tim Holtz and Heidi Swapp masks before and I love the look they give to the paper. I have used glimmer mist and destress inks with them and I just love how they add to LO's. I would love a chance to win. I love the idea that there are two sizes. Your storage idea ia great! I have used a few stencils, but not theirs. I'll be on the lookout for them in stores. Thanks for the chance to win them! I LOVE these. Especially the cherry blossoms. I've never seen a template so intricate before! I'd LOVE to win!! Thanks! 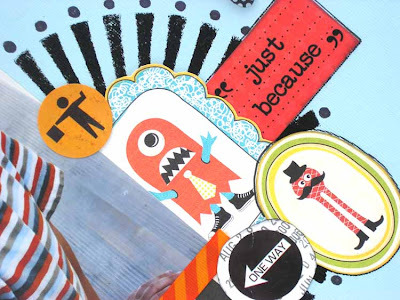 I just did a scrapbooking class featuring templates - they truly are so versatile and I find myself going back to my templates time and time again. Love the sketchy card you created the most! I love Crafter's Workshop templates. Love them! I can't draw well and my doodling is very geometric and uninteresting. But when I use these with markers, my pages really pop! Markers, inkpads, paints or mists -- they are a very versatile addition to my crafting arsenal! I absolutely LOVE all of my CW templates! These totally ROCK! TFS your opinions and introducing us to the latest and greatest from CW! I have a few of their older templates and love them....they are the great! Thanks for the chance to win some! Hopped over to their website to see all the cool templates they have! LOVE these!! The "Trendy Bracket" one is gorgeous. LOVE the ones that you can cut out & make your own Diecut paper!! Great product!! Love these stencils and how you used them! So great. Thanks for the chance to win...I sure hope I do!! I have a few templates from The Crafter's Workshop and love them!!! One of my favorite projects I used them for was to decorate my Scrap tote using fabric markers. I also want to use them on some of my daughter's jeans. The possibilits are endless with these! I have used a few of their templates and I thought they were pretty great. Haven't tried them with paint yet, I will have to do that. Crafter's Workshop is one of those sneaky companies that doesn't make this huge in your face splash but time after time does create the most fabulous MUST HAVE products. No hype just great products that are inexpensive and very versatile. I have several of their templates that have lasted me years. I'll make sure to make room on my shopping list for them this year. Crafter's Workshop has such a great selection.....I want them all!!! TFS and making such great suggestions on the "How To Do". I have a number of their templates but none of their newer releases and they ROCK! Gorgeous projects and examples! I love the use of them for misting and doodling too! This looks interesting. I would love to give them a try! I love these templates and never use them enough. I would love to win some though!! The 6 x 6 size interests me as I'm a cardmaker! Love the cherry blossoms! all of these stencils are beautiful! I have never thought that I would want to use stencils. They seem too messy and complicated. Being a one handed crafter with a toddler, I need simplicity! Still, the writer sucked me in, with the different methods and helpful hints to reduce user error, I am now in love with the idea of adding to my collection of materials to create and beautify. I love the unique designs and the cherry blossoms are crying out to be used! I have never used a template before, but after your great review I am sold! I really love the projects created! I'm blown away! I had no idea stencils could be so fun and versatile! i love the mix of funky and pretty too!!! I have some of these templates and love them. I really appreciate your 12 x 12 album storage idea, as I, too, had a problem with storing them because of their intricate shapes. Thanks for the great review. They look fabulous, I have been using die-cut papers for misting but they wear out too quickly, being wet all the time. These I'm assuming are plastic? I love their stuff, I just wish I had more of it! I have a couple of the older CW templates and have enjoyed them. With glimmer mists and different mediums now, there are so many MORE options now than just to use them as stencils, as I've most often done. I love your examples - thanks for the chance to win! 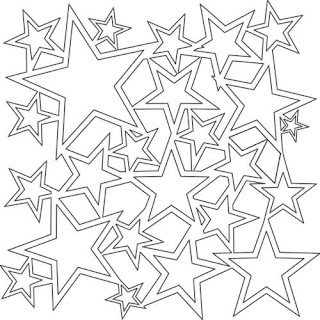 Haven't tried stencils before, but these look great and so many options for using them. I really like the birds and flowers one. thanks for posting about this site because I will definitely check them out! Oh....Love these templates. I can see so many possiblities. Thanks for sharing. I have some of these templates, love them, and can't wait to get some of the new designs! :) Thanks for the review, and opportunity! I think this may be the company I bought a few 6X6 doodle templates from. I love them. Now that you have reminded me, i need to get them out again to work with. Thank for a chance to win. These templates look way cool! Thanks for giving us folks who have not had an opportunity to try them a chance to win some! ~Tara D.
Thank you soooooo much for reviewing these. I didn't know there were 12 x 12 templates out there. These would be so much fun to play with. Amazing projects! I love all the inspiration! Thanks for the great giveaway! I've always wondered about these templates. This inspires me to try these. Thanks for the review and the giveaway! Very nice outline of how to use these bad boys. Thanks for that, and the great giveaway. I love stencils, they allow you so much versatility! Makes any plain page Jazzy! All the templates look great. I especially like the birds. God bless! These are adorable and so versatile! I can see some walls painted w/ these! I love the look of these templates!!! They look like so much fun to play with - thanks for the great review!!! Love these! I just got into doodling. It is sooo much fun! I love making backgrounds with their templates..this is a terrific giveaway and I am so happy for the inspiration! Thanks so much. That looks like fun! I love how you used them. Thanks for a chance to win. I really do like their templates, and I am happy to see they have more out! Great review, I am glad yo found their products. I love working with templates. Your designs are wonderful, I love the design! great review although they've never worked very well for me. I thought this site was supposted to be non-judgemental-I wish I could get to try my favorite products for free.